Connect or extend a VGA monitor up to 100 feet away. 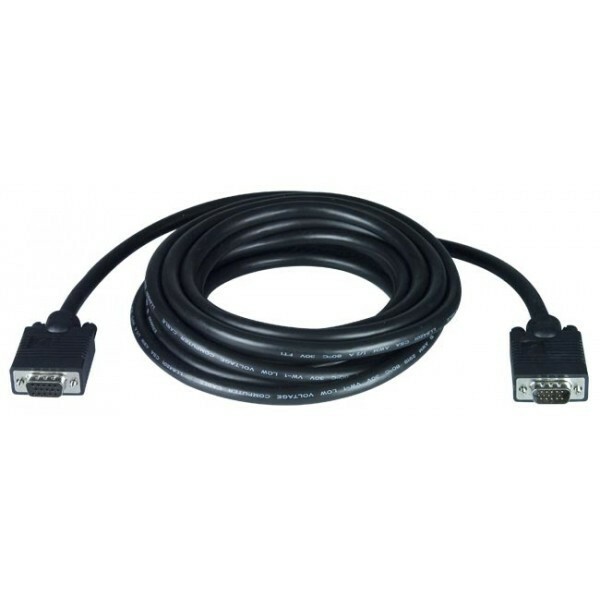 VGA cable, male-to-male, 1.5 feet (0.46 meters). 3 micro coax construction. 0.35" (8.9 mm) diameter. 1920x1200 resolution with no loss.